Tower Hamlets Local History Library & Archives covers the area created from the former Metropolitan Boroughs of Bethnal Green, Poplar and Stepney – the heart of London’s world famous East End. Our Grade II listed library building dates from 1860 and is conveniently located in Mile End. 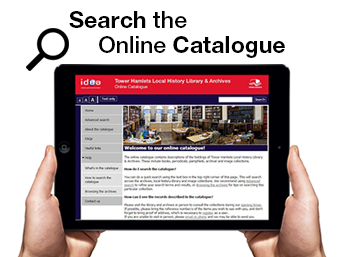 The extensive library collections cover a vast range of popular subjects such as housing, health and immigration, and include thousands of photographs and press cuttings as well as rare publications. Stored on hundreds of linear metres of mobile shelving in our climate-controlled strongroom, the archive collections are spread across a variety of formats, from medieval parchment to digital audio and video. If you’re interested in the history of a street or building, tracing your ancestors who lived in the borough, doing a school or college project or just feeling nostalgic, we’re here to welcome you. The archive collections include the records of Tower Hamlets Council and its predecessor governance bodies (dating from the 16th century) - for example minutes, rate books and correspondence files. Other notable collections include more than 8000 title deeds recording the transfer of properties in the borough, and documents relating to many local institutions and prominent individuals. We cannot, however, undertake detailed genealogical research on behalf of enquirers. Details of professional record agents can be obtained by contacting the Association of Genealogists and Researchers in Archives. All users are required to register with the service on their first visit. Please fill in the form below and bring it along with a form of ID providing proof of your permanent address. A ramp and lift have recently been installed and the building is now fully accessible to wheelchair users. There are a limited number of pay and display parking spaces in the surrounding roads as well as parking spaces for Tower Hamlets resident's permit holders. We have a Ground Floor Education Room. For further information visit the Local History Library Room Hire web page. Researching your family tree? 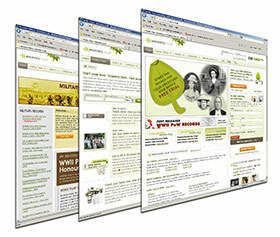 Discover genealogy, family trees and family history records online with Ancestry. This service is only available on site at Tower Hamlets Local History Library and Archives and at your local Idea Store or library.